We are traveling through Texas as I am writing this- and I tend to get carsick when looking down. So, I am keeping this short. We made it into the top 20!!! As you know, @theycallmedan is offering a 20,000 SP delegation AND a 1000 SP for all that made it into the top 20. Thank you so much for helping us!!! But now, the real work begins. 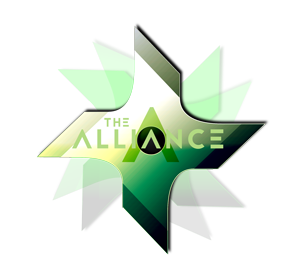 We are a small community and have not enough members/votes to get the big prize. But we can help a group that can and always has supported us. Please cast Your Vote for @steemitbloggers aka #powerhousecreatives!!! Please give them some love. Remember the Monday prompt is a collaboration with the microfiction contest with@jayna look for the Contest post on her profile - win 2 Steem. Check out her contest post for more info. Contest starts every Monday and ends the following Saturday evening. 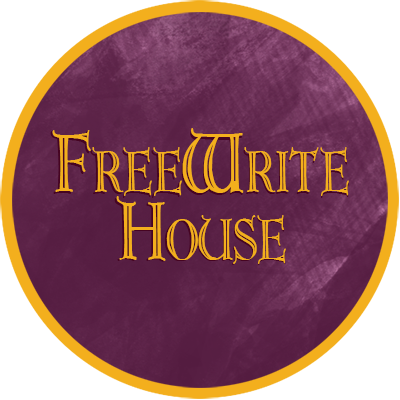 Check out the Freewrite house for current contests. What are you waiting for? Rush on over to the Freewrite House! Watch this space for Freewrite House News!!!! Copy and paste your URL into the comment section of the prompt post. If your freewrite turns into a poem, please use in addition to #freewrite also either #freewritepoetry or #freewritepoetrydigest so we can find you! Or, if you don't want to publish your freewrite, just copy and paste as a comment under the prompt post. If you don't know what a freewrite is, here is a link to the introduction post. Two things I do a little differently. I just type "timer" into google and it pops up a 5-minute timer. I also type directly into steemit. I also rarely use a photo, don't I? So that's three things. Please read, comment and vote (if you have voting power) on each others freewrites as much as you can. Especially if you are new to the platform, you will be surprised how many friendships are formed by reading and commenting on each other's work! @bennettitalia is hosting a prompt contest! He will write a song with the winning prompt and you win SBI! Check his profile for the latest post. @felt.buzz brought back the #zapfic contest!! Write a story in 240 characters! @improv is the master of puns! Enter his Punday contest at his profile @improv. As many of you know, we have a Spanish speaking Freewrite effort going on. The fearless leader is @latino.romano who is putting a lot of effort into building the Spanish language community. Thank you!! But that is not what I want to talk about today. I want to talk about Venezuela. If you listen to the news at all, you know that the country is having a lot of difficulties right now - and many are suffering. I know that we can't change the country or help all that are suffering right now. But we can help our Freewrite Community members - at least a little bit. Please, upvote the following people as often as you possibly can! And try to sponsor them into SBI. We are thinking of doing a collaboration workshop on how to get a manuscript ready for publishing. Let me know if you are interested - both, to either share your expertise and/or to learn... Starting in either December or January. If you have a business on Steem you want to share, let me know. I will start a dedicated section in the resource portion of the prompt posts. The Daily Prompt is now also being published in Spanish and a Spanish language community is forming. @latino.romano is the leader of the community and I am sure, he would love for you to stop by and say hello - in any language. If you are bilingual, please feel free to publish you freewrite in both languages and drop the link at both Daily Prompt posts. A Contest I found You Might Want to Enter. @thedarkhorse is running a weekly contest for a delegation for newbies who have less than 100 SP in their wallet. Visit his profile for the latest contest post. Remember to check your voting power. Remember The Most Dangerous Writing App. You set the time - 5 min - and start typing. Don’t stop!!! It will destroy what you wrote if you stop for more than 3 seconds - and backspace does not count as writing on the app. If you are prone to stop and think - this app forces you to keep going. You can make corrections after the 5 minutes are over. If you are ready to get serious about improving your understanding of the English language check out @majes.tytyty blog. He has lots of useful information to understand words and their roots better. If you have questions or need help, leave a comment on his blog. If you know of other helpful tools or people, please share with us! There are many contests on Steemit. From art to music to writing and everything in between. Enter as many as you can!! And take advantage of the free money people give away I listed in the money section below. There are several people who offer SBD for free on this platform! How great is that!! @steemexplorers gives away an SBI unit almost daily. Check out their profile for more info. @scrooger has a great "help the minnows" project. It is so easy!! Visit his profile for details. @fisheggs - follow this account and you get upvotes at random times. @sydesjokes - he rewards his followers with SBD for any kind of interaction with him- comment, vote, resteem. @danielsaori - he does a comment contest. A new challenge every week. @rexusmo - I think a few of you have started to leave links to your post. Every day, he has a cheering up post. You leave a link to a post you are proud off and you might get a reward. Keep trying!! If you have less than 100 SP give this a try. @thedarkhorse is running a weekly contest for a delegation for newbies who have less than 100 SP in their wallet. Visit his profile for the latest contest post. These options cost you a little bit, but your return is manyfold and I highly recommend that you consider them. @qurator is an initiative to support steemians who post good content. There is an initial sign up fee of 4 Steem. Your account will be checked and if approved, you will make that 4 steem back in the first month through qurator upvotes. Check their account and discord for more details. @thundercurator is a human resteem and upvote service. Check out their posts for more details. @alliedforces is a bitbot that is designed for small accounts and you never lose. They also are major supporters of the Freewrite House and we are very grateful for that!! This is an excellent article by @dmcamera on how to use images legally. A must read!! Remember, we have our own room in the Isle of Write Discord! Join us now!!! If you like this and want more people to come out and play - resteem! 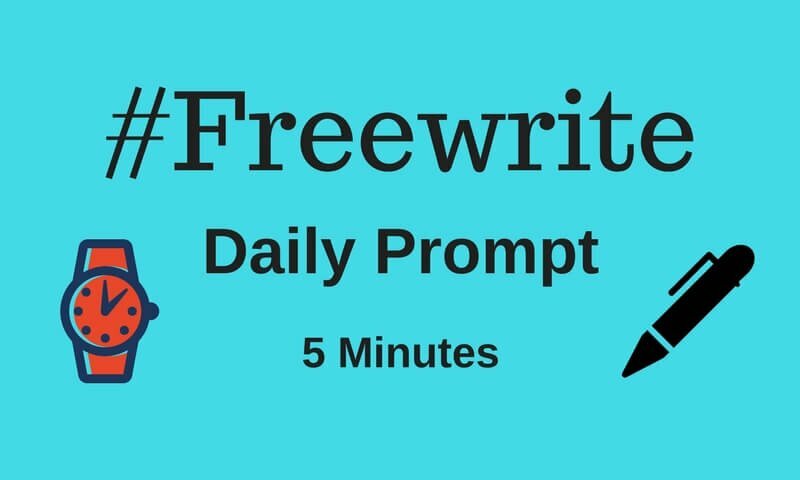 Join us for the daily 5 - Minute Freewrite. Check my profile for a new prompt every day. All images are my own unless otherwise cited. #SoCalSteemit is building and supporting the Steemit community of Southern California. If you are from SoCal and are into creating quality content here on Steemit, we'd love for you to follow us @SoCalSteemit and join our group on Discord! I am a proud member of the #DtubeFamily777 initiated by @nathanmars. Join us at the Freewrite House for fun and games!!! Weekly drawing for SBI memberships and so much more!! Listen to the Sustainable Living Podcast here!